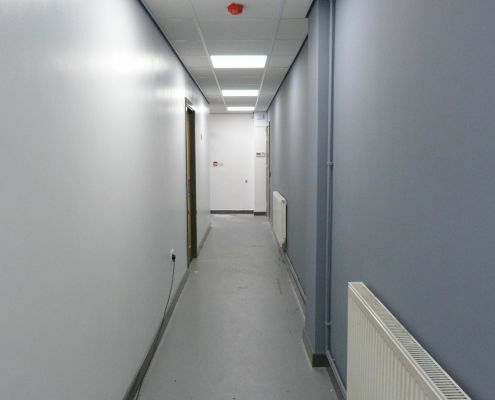 One of our latest installations was Harrison direct wholesaler, established in 1919 in Lancashire, Harrisons Direct has a reputation for being specialists in wholesale distribution. 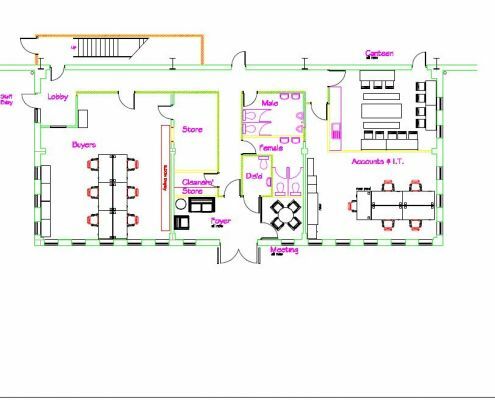 Specialising in a large range of wholesale products including confectionery, health and beauty and stationery they supply popular wholesale brands to companies across the UK. 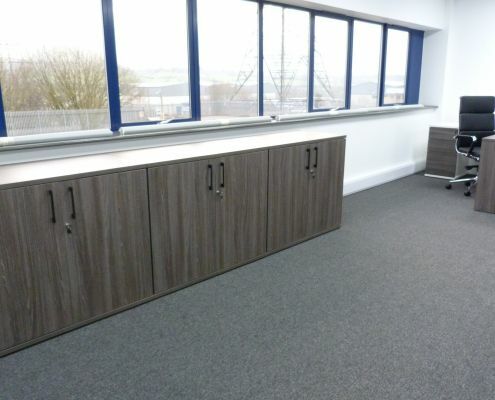 Having supplied the furniture for Harrison directs previous office premises in Accrington, we had an understanding of our customers preference and style, this enabled us to offer them the best advice for their new office. 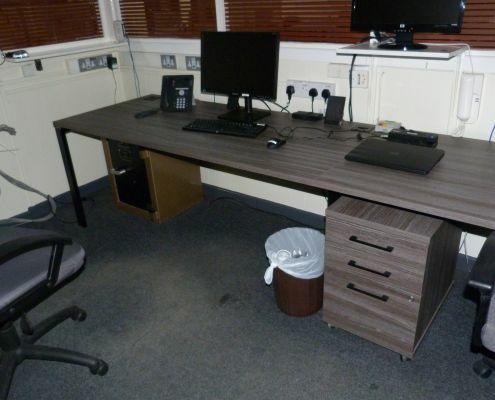 The delivery team also moved some of this furniture from Harrison directs old Accrington site as they wanted to continue using some of it. 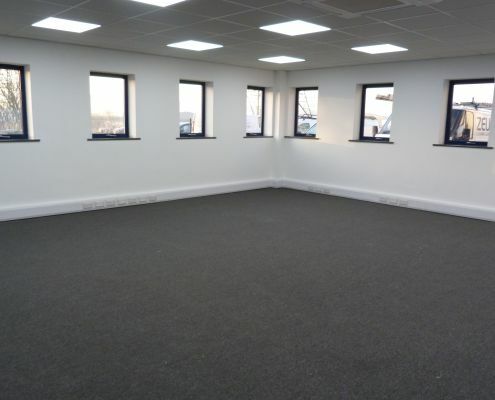 As the Bevlan van approached and the delivery team jumped out, the day began surrounded by painters, cleaners, blind fitters and other local businesses to create the perfect home for Harrison direct. 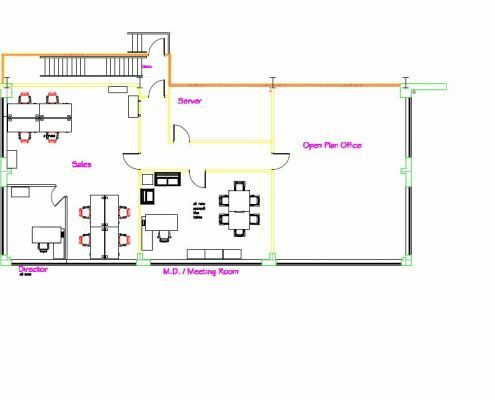 Starting with a complete blank canvas, Alicia guided the delivery team when placing the furniture to make sure everything followed the original plans and designs put together through communication with Cara and Paul. 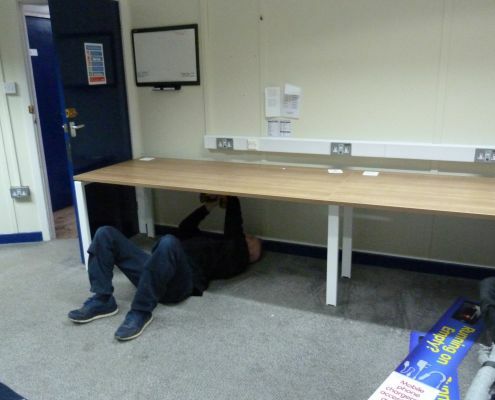 Once the delivery team had unloaded the Bevlan van, they began to quickly unpack and assemble our furniture. 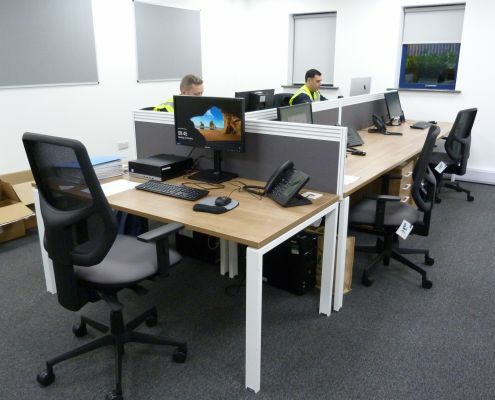 From bench desks to pigeon hole units the team put together everything carefully and precisely to ensure everything was perfect for Harrison directs new home. After a few hours passed the empty rooms began to fill with character and of course amazing furniture, it was great to watch the process of this project go through stages. Time to start putting the furniture together! 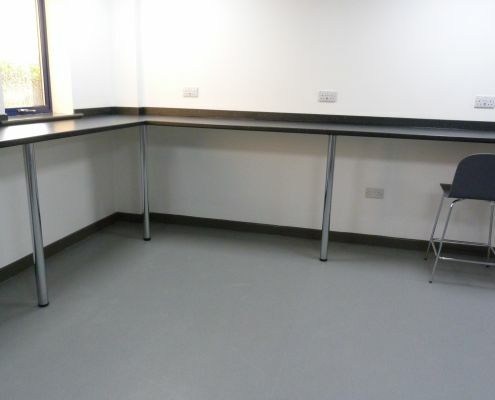 Bench desking unit with white edges and cable ports sits 6 employees. 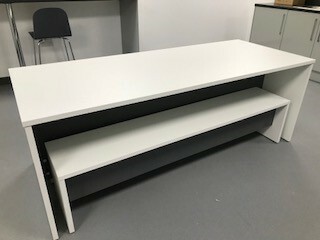 Wagamama bench unit, perfect for canteen use. 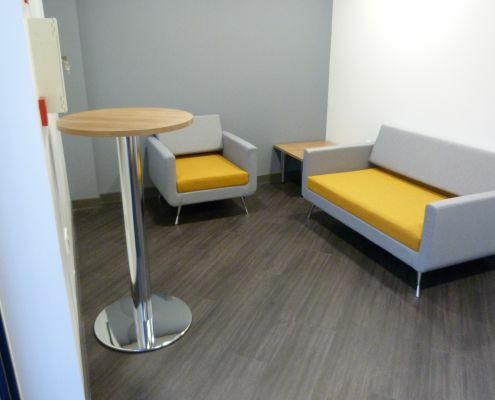 Liberty reception chair and a two seater sofa. Dove and Sunny from Gravity fabric range. 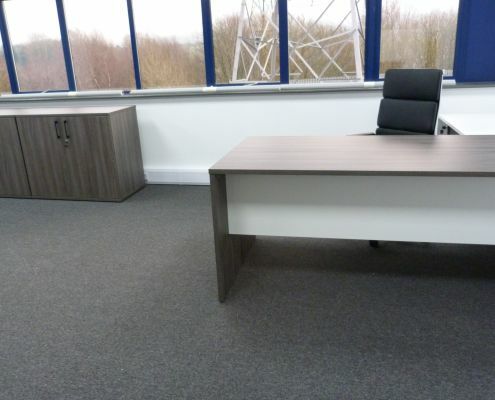 After a successful day filling the Harrison direct offices with Bevlan furniture we left the premises and returned after Christmas. 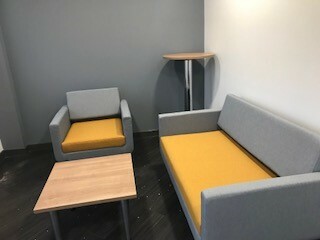 Our second visit involved disassembling and carefully moving the previous furniture we had supplied at the Accrington site. 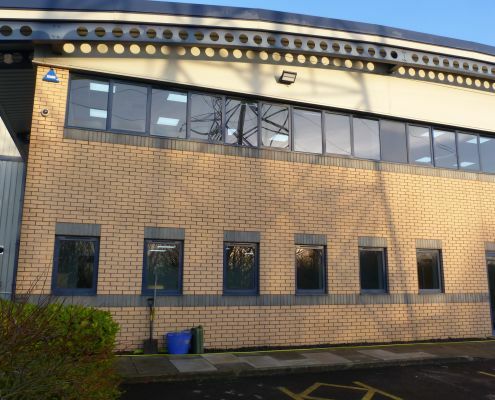 Cara McKenna the director and Paul the managing director at Albert Harrision, were delighted with their new office space and couldn’t believe how great it looked. 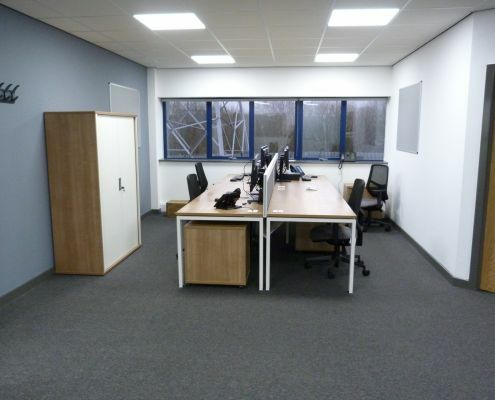 All nine rooms of the new office premises started to fill with Bevlan furniture! Remi mesh chairs, height adujustable arms and independent seat and back. Seat pad in Blizzard Phoenix fabric to match desk screens. 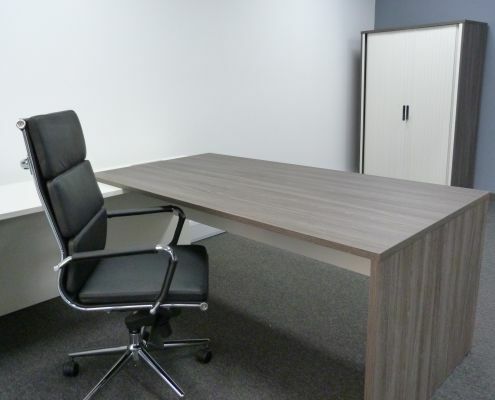 White rectangular bench table with Slate modesty panel on a White panel end frame. 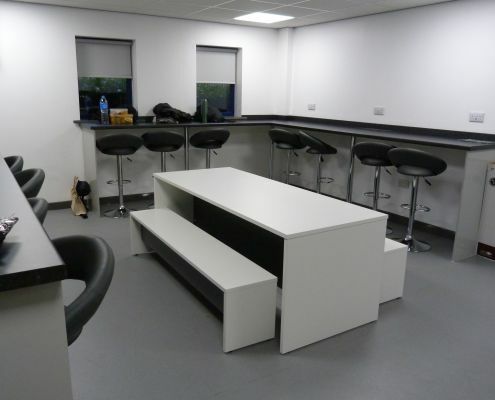 Perfect for canteen, breakout areas. 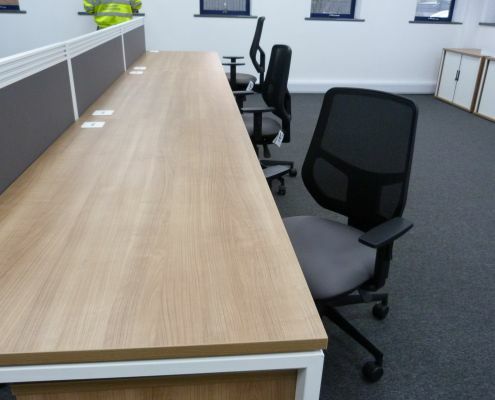 If you like the look of any of the furniture we supplied for Harrisions direct or have decided your office furniture needs an update, then please do not hesitate to contact us.